Please join us for any of the following events. If you attend one of the monthly programs listed, attendance at the Society's meeting afterwards is not required. If you have any questions, please call our office at (717) 548-2679. The meeting room at the archives warehouse is handicapped-accessible and all are welcome. 9:00 A.M. to Noon every Wednesday Genealogy and historical research Archivist-assisted family research Archives open for research; computer and hard-copy files. $5 access plus copying costs. Brick archives warehouse across from the Robert Fulton Birthplace, 6-1/2 mi. south of Quarryville, PA on Route 222. 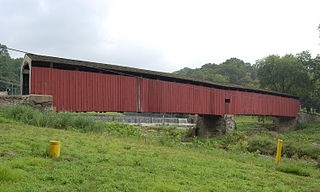 June 18, 2016 1:30 PM "LANCASTER COUNTY ARCHITECTURE: THE FIRST 100 YEARS (1710-1810)" Gregory Scott Free program on early architectural styles in Lancaster County. Brick archives warehouse across from the Robert Fulton Birthplace, 6-1/2 mi. south of Quarryville, PA on Route 222. June 24, 2016 10:00 -4:00 June 24th & 25th; 10:00-3:00 June 26th CIVIL WAR ENCAMPMENT Activities of Union and Confederate Civil War soldiers and officers. Robert Fulton Birthplace property, 6-1/2 mi. south of Quarryville on Route 222 near Swift Rd. July 16, 2016 1:30 PM "REMEMBERING CHARLES X. CARLSON" Kenneth Hoak Historian Ken Hoak's remembrances of well-known artist Charles X. Carlson. Archives building across from the Robert Fulton Birthplace, 1932 Robert Fulton Hwy./Rt. 222 south of Quarryville, PA. Handicapped-accessible. All welcome. August 20, 2016 1:30 PM "THE HISTORY OF MECHANICS GROVE" Bruce Mowday Free program on Mechanics Grove, a small village along Route 222 in the Southern End. Archives building across from the Robert Fulton Birthplace, 6-1/2 mi. south of Quarryville on Route 222. 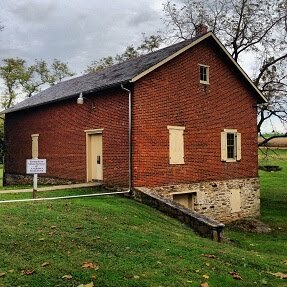 September 17, 2016 1:30 PM "DR. DAVID RAMSEY" Dr. Robert Frick Free program on Dr. Ramsey, who was a native of East Drumore Township in the Southern End. Archives building across from the Robert Fulton Birthplace, 6-1/2 mi. south of Quarryville on Route 222. October 15, 2016 1:30 PM "THE GOOD WITCH OF FINCH GUT HOLLOW AND OTHER PROMINENT BLACKS" Dr. Leroy Hopkins Free program on prominent black citizens of the area. Archives building across from the Robert Fulton Birthplace, 6-1/2 mi. south of Quarryville on Route 222. November 19, 2016 1:30 PM "STEALING FREEDOM ALONG THE MASON-DIXON LINE" Milt Diggins Archives building across from the Robert Fulton Birthplace, 6-1/2 mi. south of Quarryville, PA on Route 222.